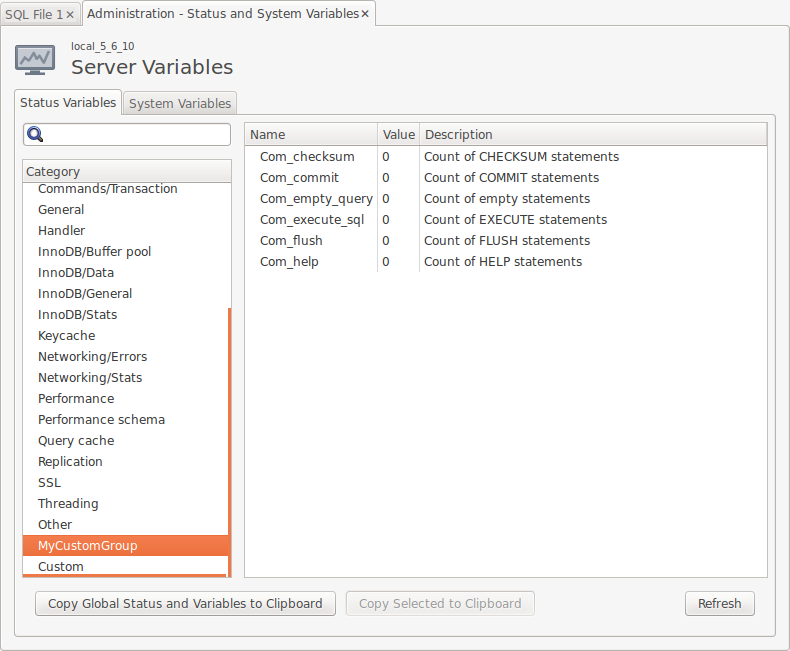 MySQL Workbench has an option to view MySQL server variables divided into groups [img. 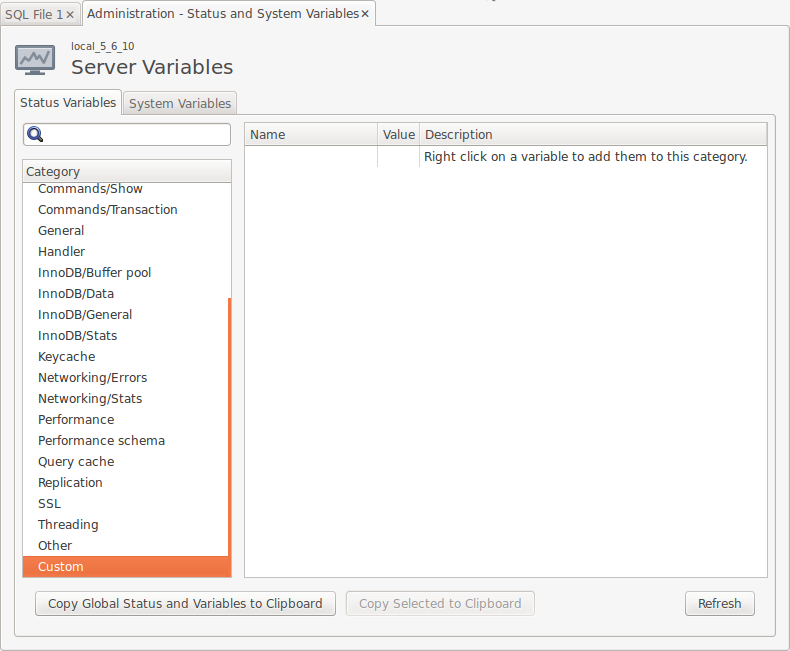 1], for example: Binlog, General, Keycache, Performance, etc. This is okay if we just wanted to look around, but it can become overwhelming as sometimes we only want to monitor specific variables from different groups. 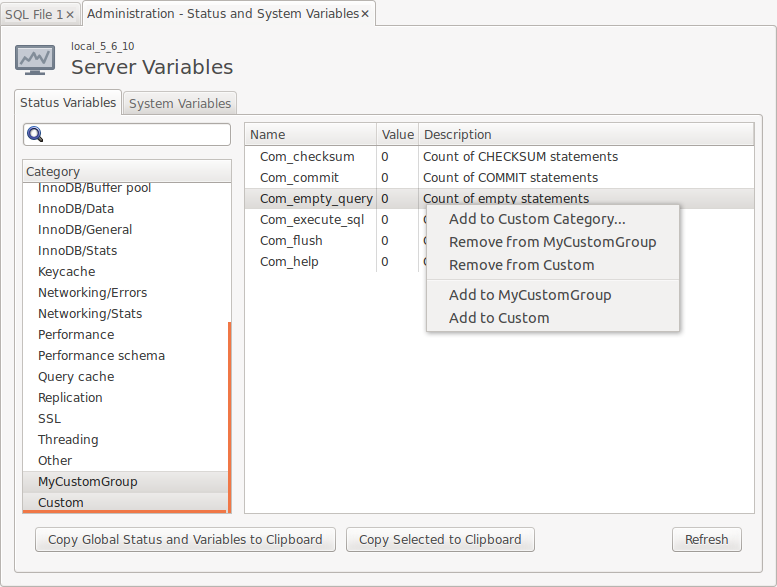 In MySQL Workbench 6.1, we solve this by implementing Custom Groups. It’s a special group that can be created by the user. 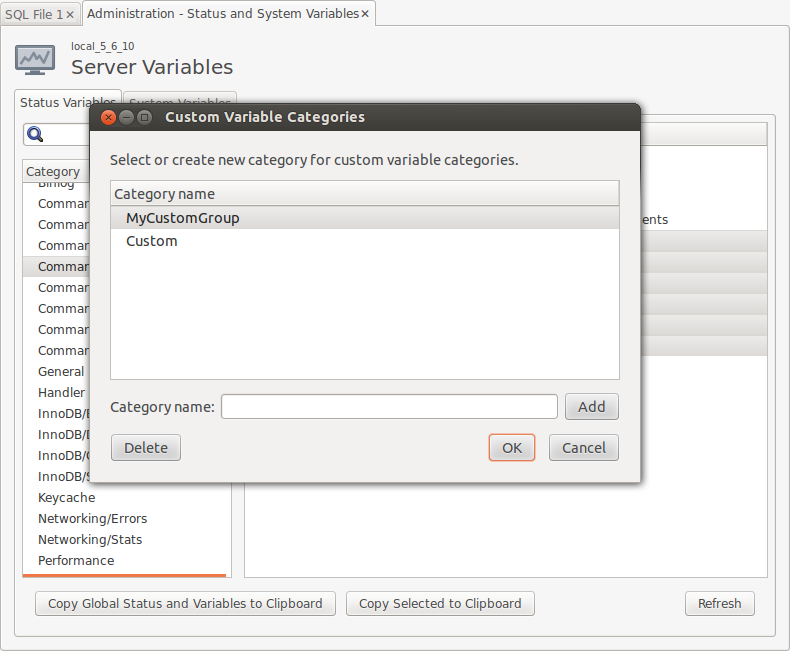 At the end of the Category List, there is already one defined group, called Custom. 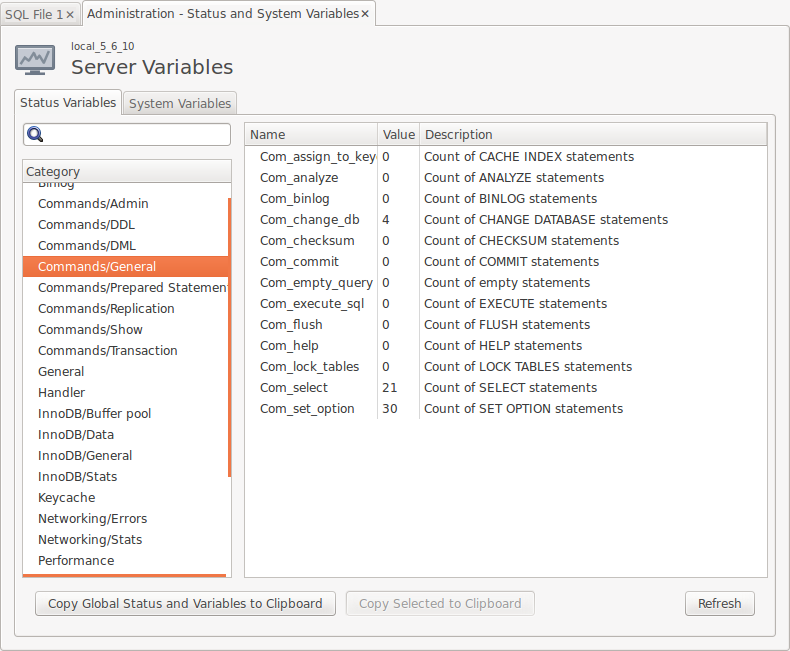 When selected, you’ll find a description in the Variable List [img. 2]. Variable grouping is easy. You simply right-click the chosen variable, and choose an option from the context menu. The “Add to Custom Category…” menu item popups a mini editor that allows you to create or remove your own custom variables groups [img. 4]. You can also directly add a variable to a group by using the menu items that are located below the “Add to Custom Category…” context menu item. The groups you create will be shown in the Category list, and you only need to select them [img 5]. To remove a variable from a custom group, select the corresponding group, and then right-click to open the context menu for the variable you want to remove, and choose the remove option [img. 6]. 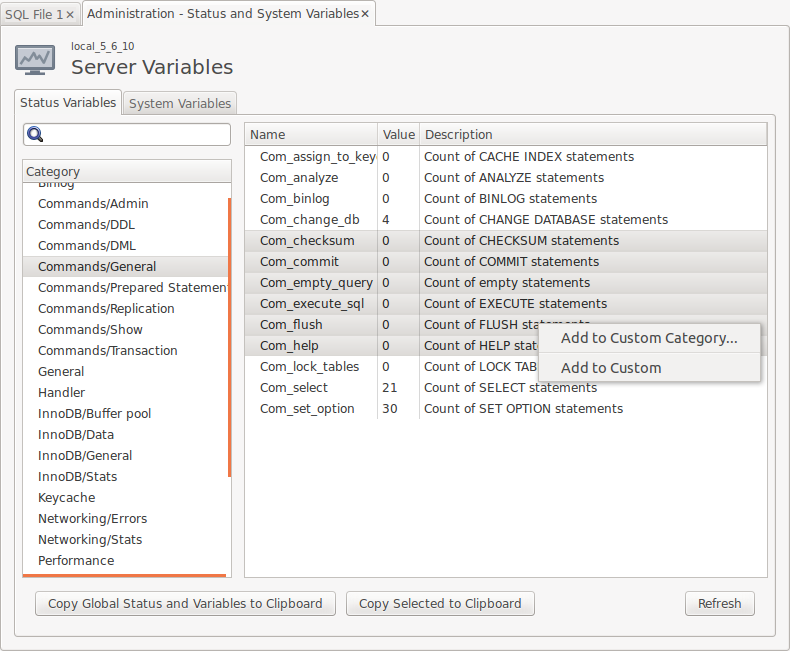 Variables Groups are stored on the user level. In other words, each connection will have the same category groups. We hope this new feature will help you organize your work a little bit better.